Want to have some serious fun getting from one place to another? 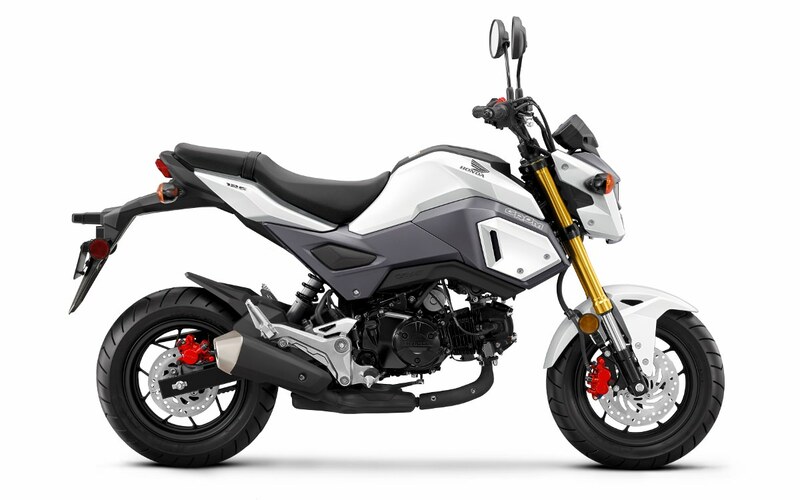 As thousands of converts already know, that’s where the Honda Grom comes in. Compact, low to the ground, pocket-sized in terms of price and parking, but such a blast it’ll put a giant smile on your face whenever you turn the key. Last year we gave it some sweet updates—a new headlight, new two-step seat, new bodywork, and a new muffler. This year you still get all that plus available ABS, along with a healthy dose of Gromitude.